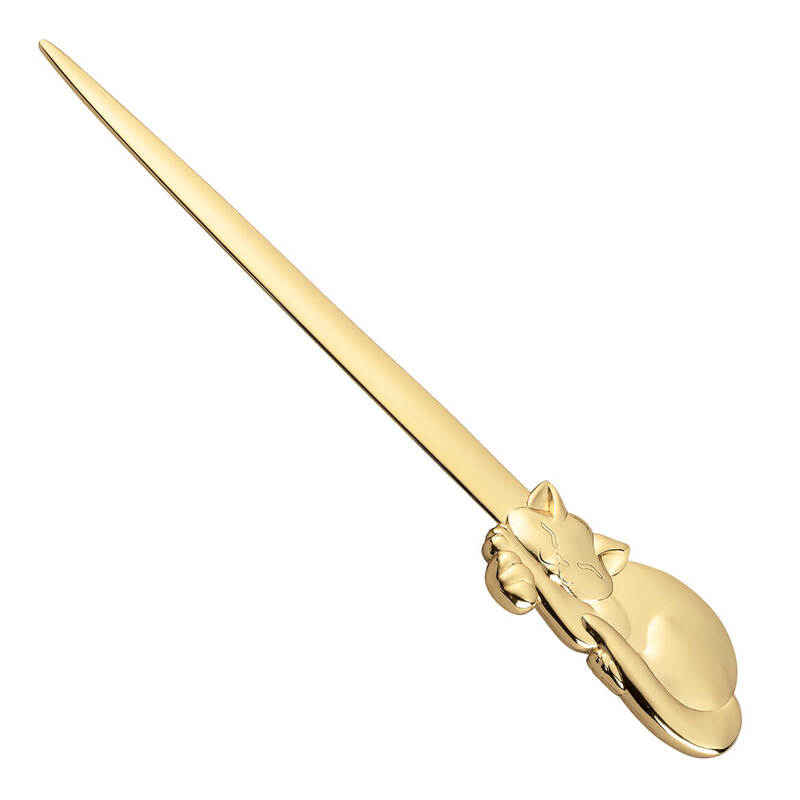 My wife wanted a nice and pretty letter opener I thought she would love the cat. 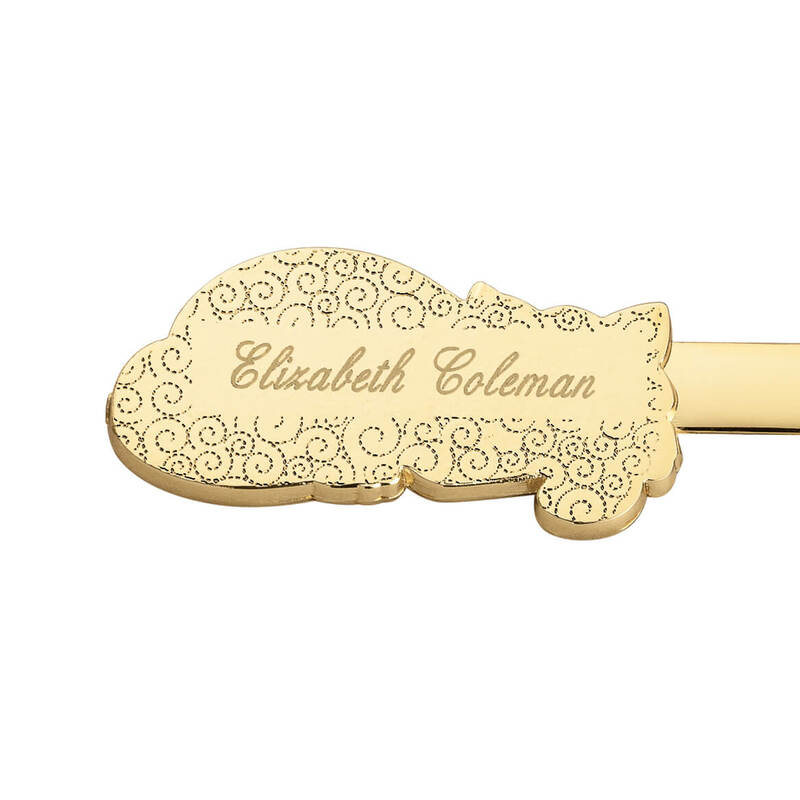 We lost two cats a few years apart and this is a great way to keep their Memories with us .What a charming letter opener and we have both their names on it. 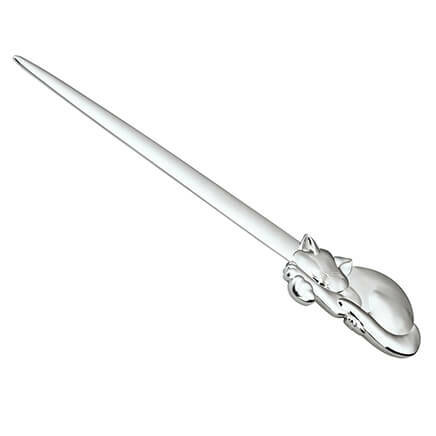 I need a new letter opener and this one is adorable with the sleeping cat motif. I have always been happy with Miles Kimball personalized items and am expecting to be delighted with this one too. My 95year old mother likes opening her own mail but has trouble opening mail with her fingers. She adores her cat and thought this would make her smile along with being very useful. 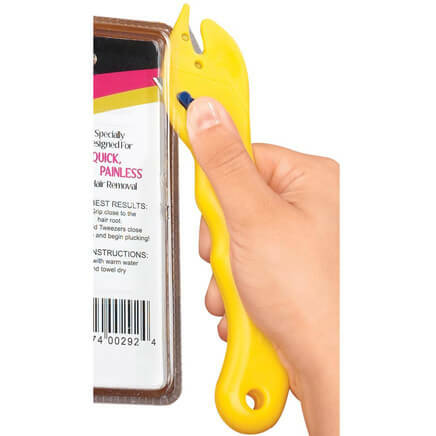 It is adorable and useful! Good quality.